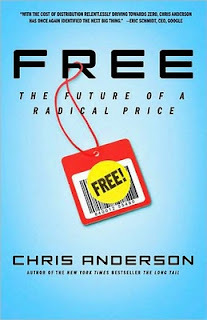 Anyone who spends any amount of time on the Internet already knows about many of the topics Wired editor Chris Anderson discusses in this book, and probably knows more about some of them. At less than 300 pages (including a sizable index and the business-book-obligatory "executive summary"), there's not much space to get very deep into any specific business model or case study. One odd thing: the "free books" section mentions Neil Gaiman's American Gods giveaway experiment, but says nothing about Cory Doctorow's career-long habit of giving away all his books under Creative Commons, even though Anderson quotes directly from Doctorow later on and talks about the fictitious Whuffie economy depicted in Down and Out in the Magic Kingdom. Maybe Cory's too much of an edge case? Anyway, the publisher also offers a free, abridged audio book version--in exchange for your e-mail address. 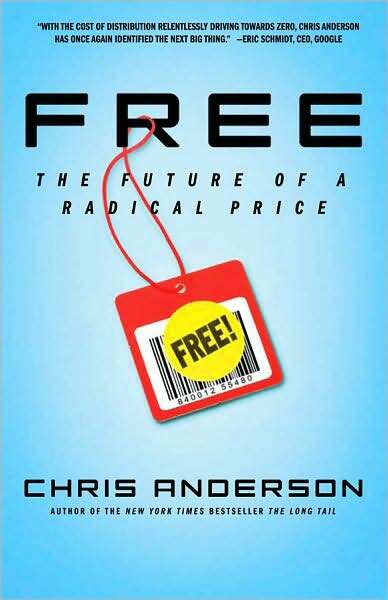 Which is ironic, since Anderson spends much of the book talking about removing roadblocks to the Internet's highly efficient, "near-zero marginal cost" of distribution. Maybe they've abridged that part out of the audio version.